We are delighted to announce the formal partnership of Southpoint Films Ltd and Vidibiz. The partnership comes after a long relationship between Southpoint Films Managing Director Rowan Johnson and Vidibiz Proprietor Paul French. Customers of both businesses will experience immediate benefits of the partnership, from additional production capacity to use of now-shared facilities such as Southpoint Films’ wide range of high end video production equipment and the Vidibiz studio located in the New Forest. As part of the partnership both businesses will now be operating through the Southpoint Films brand. Off the back of the partnership Southpoint Films is launching a brand new initiative ‘Southpoint Live’. The service is focussed on bringing high end online live broadcasting services to businesses of all sizes, opening up their localised events and training sessions to a wider audience. By utilising the latest web streaming technology Southpoint Live aims to provide a high end broadcasting service at a fraction of the costs asked by major broadcasters. 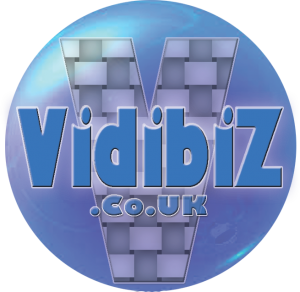 The complementary abilities and combined resources of both Southpoint Films Ltd and Vidibiz will ensure they continue to create and deliver the highest quality promotional, training and event videos that their respective customers are accustomed to, as well as aid with new initiatives.